My dear friend Emily Brown took care of me while I was visiting Los Angeles a couple weeks ago. Not only did she let me crash at her house but she picked me up from the train station, took me to Chinatown, introduced me to some nice people, and even took me to Tito's Tacos. It was a good time. While there getting some pretty legit Mexican food I noticed this 1st generation Chevrolet Camaro. I had to document it. One of the things I look forward to doing later on in life is working on some classic car rebuild projects. 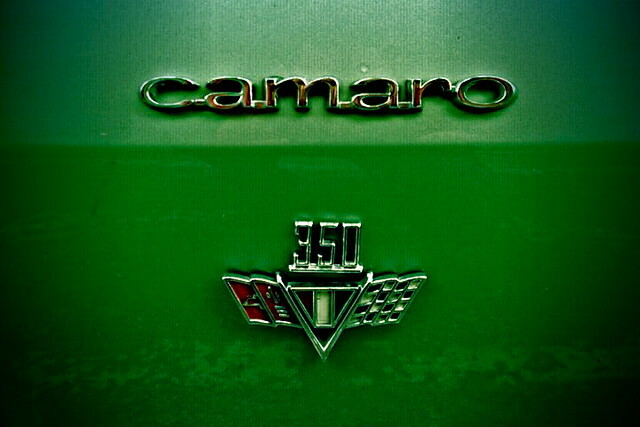 I would love to have a chance to rebuild a '67 to '69 Camaro such as the one documented so nicely with the camera on my phone. Anyways... 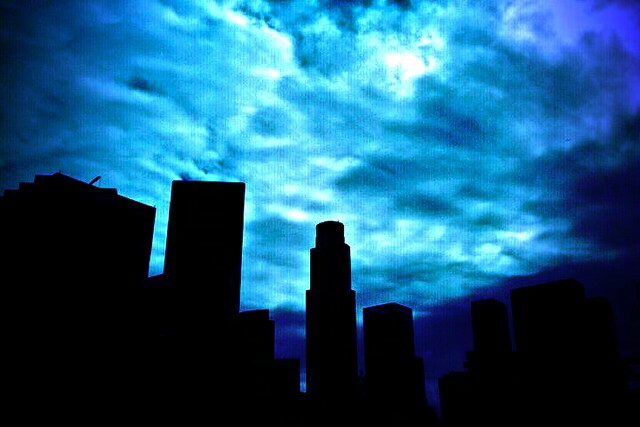 I threw in a silhouette of the L.A. skyline for good measure too. Los Angeles is busy and has a lot of people and traffic, but I like it and I like the people I know that live there. It was a good trip. I dare you to go to the website for Tito's Tacos and listen to the song they got playing on it for more than a minute. Ha. Seriously though. Check it out. love the first picture! the blue of the sky is perfect! 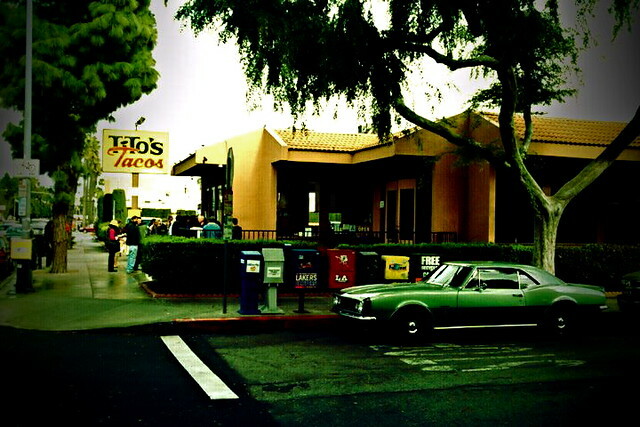 So I get the feeling that Titos Tacos didn't send you over the edge with splendidness? Chuck took us there a long time ago and it was alright I guess. Catchy tune for sure.